Segmentaly. Face Showing Static hour, rotating minute dial and marker, rotating seconds dial and marker. 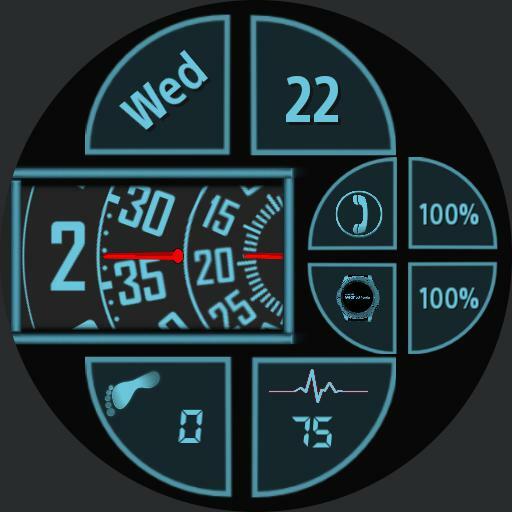 date, Short day, Day number, Power icon for Phone and Watch, power levels for watch and phone, steps icon and step count, heart icon, and heart rate.